Home / Articles / cricket / CT-2017 / Where did the Green Shirts go wrong? Where did the Green Shirts go wrong? Birmingham: India thrashed Pakistan by 124 runs in their opening match in their Champions Trophy campaign on 4th June. The Green Shirts fail to keep their record of leading victory figures of 2-1, and cost it to be 2-2 now. Being told stories from the 90’s, I saw a Pakistan Team full of confidence whenever they took the field against any team, at any venue. Long gone are the days, Pakistan ODI team could destroy any team at any venue. Currently the ODI team doesn’t even anticipate a fightback with a good batting spell, or bowling spell. As a fan of cricket for over 10 years, it makes me feel pathetic, hearing our captain saying statements with such immaturity, that the pressure would be on India and not on Pakistan ahead of the game. Pakistan is a no. 8 side and has nothing to lose, he also added. It’s not just about our batting, currently our bowling is pretty average level, and we don’t deserve to be called “Best Bowling Side” anymore. On our media, we continuously troll team India and Bangladesh for their poor bowling level, considering the fact India’s bowling had been better the Pakistan’s since 2013, sadly. 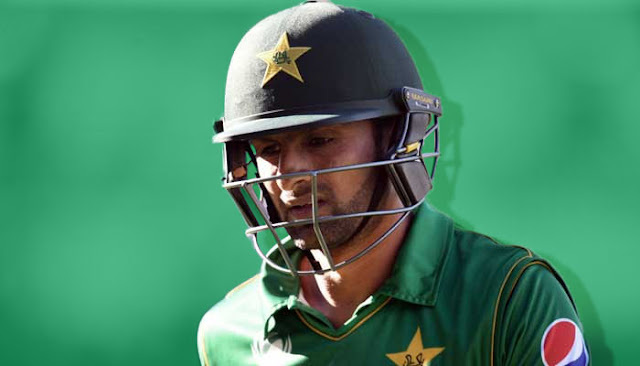 The match was the first ODI match for Sarfraz as a captain with an extreme negative approach. He had failed to make the right selections and did screw up the order a bit.